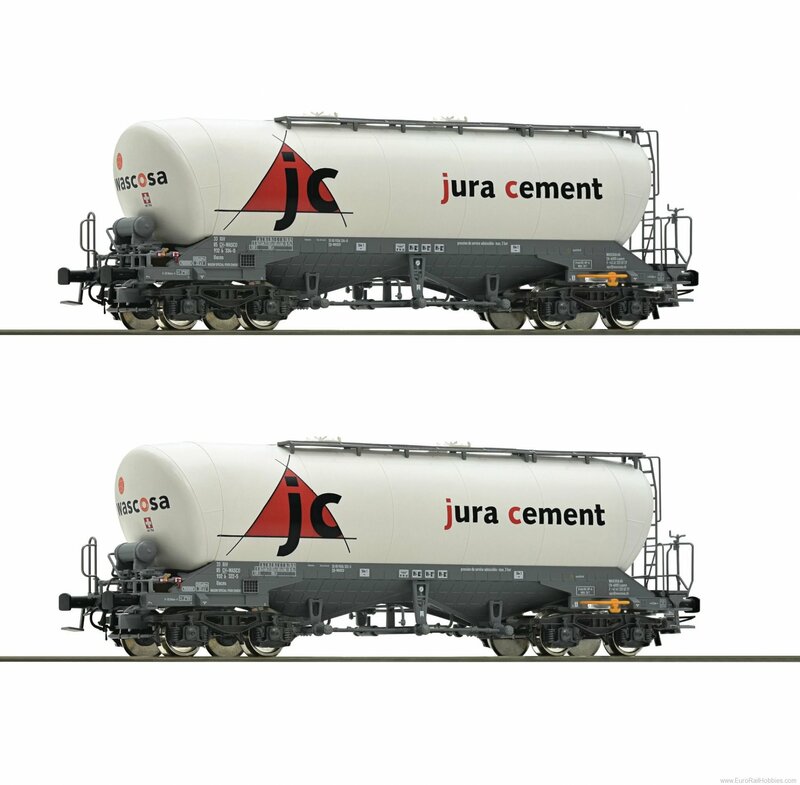 2 piece set silo wagons type Uacns of the Juracement. Epoch VI. Completely new designed model. The silo wagons feature many separately applied plug-in parts that are partially perforated. Coupler pocket according to NEM 362 standards with close coupling mechanism.